Children with cerebral palsy almost always have special needs and considerations when it comes to things like education, schools, and day care. This page will discuss the primary educational and day care assistance programs available for children with cerebral palsy and other types of disabilities. Early intervention services are part of a federal program mandated by the Individuals with Disabilities Education Act (IDEA). Early Intervention (EI) provides supportive services for infants and toddlers between birth and three years who meet their state's criteria for a developmental delay or who have been diagnosed with physical or mental conditions with high probabilities of resulting in developmental delays. Early Intervention services are offered through a public or private agency and are provided in different settings, such as your home, a clinic, a neighborhood daycare center or Head Start program, a hospital, or your local health department. Initial evaluation and assessment of your child will be provided free of charge. Additional services may also be provided at no cost, although this may vary from state to state. Some states charge a "sliding-scale" fee for services. Eligibility for EI is determined after a child has been evaluated by a health professional. Some children are diagnosed at birth with a condition that makes them eligible for EI, while other children may not be evaluated until they have a documented delay in reaching milestones. Parents can get a referral for Early Intervention services through their health care provider or they can contact their local EI program directly and ask for an evaluation. Below is a link to a chart which lists EI office information and eligibility requirements for every state: State EI Programs. EI programs are federally funded and administered by the states so these services are usually completely free or provided at minimal cost. If you want to get Early Intervention services for your child, the first step is getting your child examined so that they can be qualified to receive services. 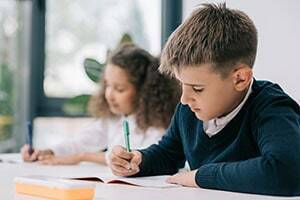 Once your child has had an evaluation and it has been determined that they qualify for your state's EI services, you and your team of professionals will develop an Individualized Family Service Plan (IFSP) or Individualized Education Plan (IEP). These plan outline the services your child and family will receive through Early Intervention. Act (IDEA) children have access to free public special education services outside of the home (drop-off programs) beginning at age three (may be earlier in some states). Before this time, there can be some hurdles to overcome when trying to find the right people and place to care for your child. Sometimes the search requires more work depending on how familiar people and places are with inclusion and ADA guidelines. If you get discouraged contact your local Department of Social Services and ask for assistance. The key is finding a facility with the desire and willingness to work with your child and family even if they do not yet know how. Once you have accomplished this, you may call upon a representative from a local or national organization (such as KIT-Kids Included Together) to help get the childcare team and family working together. Many states offer additional funds to facilities caring for a child who has special needs. Check with your state's Department of Human Services about special needs child care subsidies. Spread the word that you are looking for help. Talk to other parents (particularly those people who have children with special needs), social workers, doctors, or whomever you know that is a good source of information related to caring for your child. Parent-to-parent groups and other advocacy organizations may have a list of centers and people they have already worked with to establish inclusive programs. You may have to have some flexibility with your expectations about the kind of daycare or preschool program you send your child to perhaps in regards to distance from your home, type of educational program, religious affiliation etc. However, do not let that flexibility include a potential compromise of your child's safety. Begin by making a list of what you are looking for in a facility. Determine what additional equipment, assistance or care your child may need to ensure their safety, comfort and sociability. Be honest about your child's needs and capabilities. Ultimately, you want to give the staff the opportunity to equip and educate themselves about how to best care for and teach/nurture your child. Always visit the facilities that interest you and eventually bring your child there before making a decision.